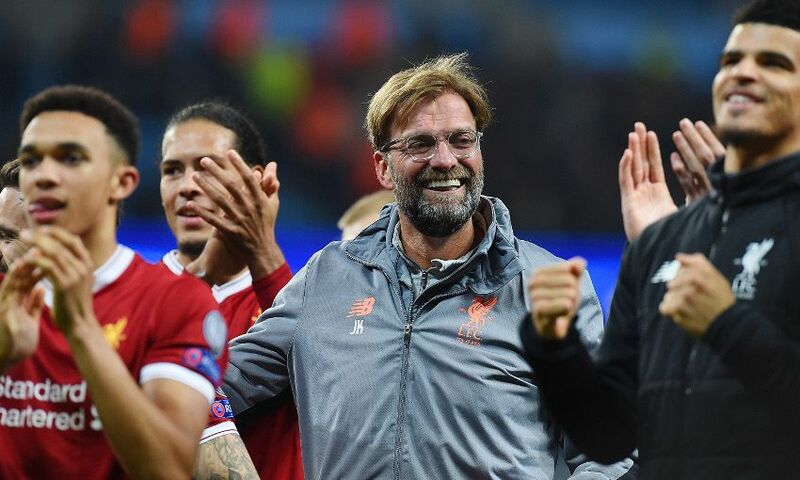 Jürgen Klopp has paid tribute to the 'character, spirit and value' evidenced by every single member of his squad across a memorable week for Liverpool. The Reds confirmed passage to the Champions League semi-finals by twice beating Manchester City and earned a creditable away draw against rivals Everton during a run comprising three games in six days. And Klopp, who needed to make full use of the options at his disposal during that period, has identified the mutual respect between his players as crucial to such positive results. In his 'This Is Anfield' programme notes ahead of today's meeting with Bournemouth, the boss wrote: "What has been evident in recent days and weeks has been the commitment of every player in our dressing room. It has been the case all season but is more visible for the outside world now. "At Everton, although we did not win the game, the efforts of Nathaniel Clyne, Ragnar Klavan, Danny Ings and Dom Solanke made me as proud as I have been all season, to be honest. "Raggy, Ingzi and Dom have been fit and contributed to what we have done for most of the season of course, but their ‘starts’ have maybe not been as regular as they would have wanted in an ideal world. We all know the challenges Clyney has faced and come back from with his back injury. "So at Goodison, Raggy was playing a position he hasn’t played in for over a decade, I think, while Danny and Dom had no real rhythm together as a strike partnership and Clyney was starting for the first time all season. "These were performances that showed their character, spirit and value to us. It is the biggest proof that, for us to achieve, we need everyone and that everyone will help us. "We do not value contributions based on newspaper headlines earned, and every member of our team knows how important each individual is to the collective. "This is what I love most about this squad: the respect they have for each other and how every person in our dressing room values and appreciates their teammates is real and authentic. "No-one thinks they are more important than anyone else. They are together and the rest of us see the benefits of this come matchday." Pick up your copy of 'This is Anfield' at the stadium today, or subscribe online by clicking here.